The exciting new XP and XSP Toyota packages have arrived at Toyota of Tampa Bay! For a low price, you can accessorize your stock Toyota with exclusive designs to add a dynamic new sport look to your vehicle. The XP and XSP packages are only available for select Toyota models, though. Keep reading to see what’s included for each! The XP Package is available for the 4Runner Gunner, 4Runner Predator, Tacoma Rockstar, Tundra Black and Tundra Rockstar. The XSP Package is available for the Corolla and Tundra. 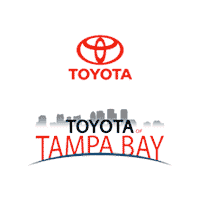 Call us at (813) 402-1342 or visit us at 1101 E. Fletcher Ave. in Tampa to schedule an upgrade for your Toyota! Click the button to get started! Call us at (813) 402-1342 or visit us at 1101 E. Fletcher Ave. in Tampa to learn when this sleek package is available. Click the button to contact us.